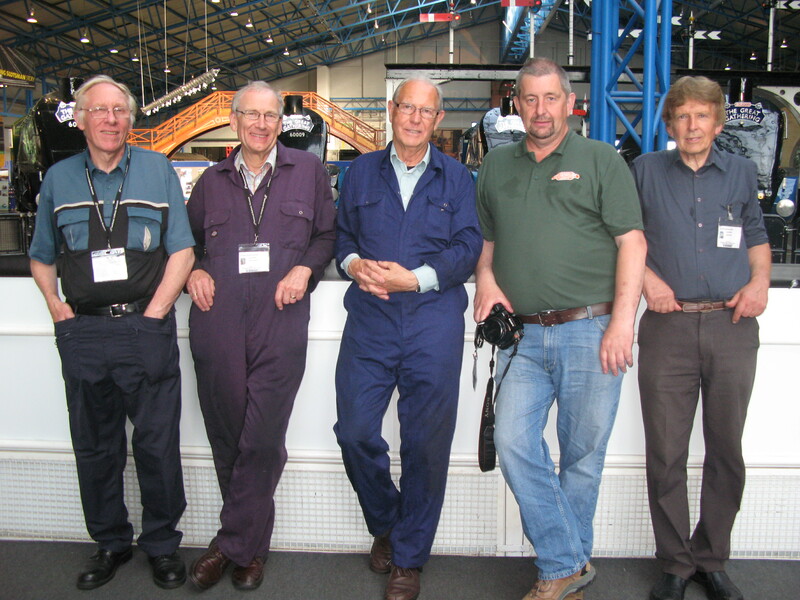 ‘The Daves’ – as they are known in the museum – are one of a number of our volunteer teams. Called after the first name of the majority of its members, this band of six volunteers undertakes locomotive cleaning for special events as well as for many private owners around the country. Dave and the team taking it easy after cleaning the a4s. The team’s latest achievement was cleaning the visiting locomotives for Mallard 75. This was quite something considering they needed to get all three visiting A4s into as near museum condition as is possible. This was despite short time scales and unfavourable weather conditions. Nevertheless, the team managed to get everything done in time for them to be shunted into place. Never ones to take it easy, the team then progressed onto spending their evenings cleaning all six locomotives in preparation for the following morning’s photography sessions. If you joined us for the Mallard 75 celebrations you’ll know the A4s looked resplendent: we received many favourable comments from the general public on how clean they were. The next time you see a privately owned locomotive in the museum, or out on the main line, there’s a good chance it has been cleaned by ‘The Daves’. The team are David Hurd, David Peaker, David Lowther, David Rush, Ken Chadwick and Alan Papworth. They are just one of the many unseen volunteer groups that operate in the museum. If you’re in interested in joining us, read more about volunteering here.